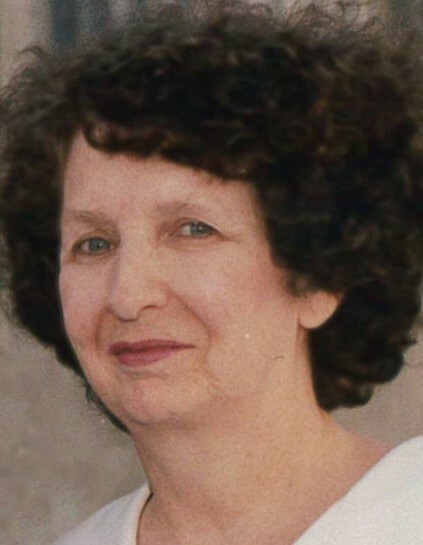 On Saturday evening, February 9th, 2019, our beloved mother, grandma, sister, aunt and dearest friend, Berniece Niesporek, returned to her loving Heavenly Father after a short illness. She was born on July 29, 1935 in Tooele, Utah, daughter of David and Esther Matson. Her father passed shortly after her birth, so her mother, others, and older sisters helped raise her. She was the youngest of 8 children with 5 sisters and 2 brothers. Berniece graduated from Tooele High School in 1953. She married Donald Peterson and they had 5 children. She later married Raymond Niesporek Jr. on May 31, 1974. Mom worked at the old Bevan Pharmacy Soda Fountain in her high school days. She worked most of her life at the Tooele Army Depot, finishing in the payroll administration. She loved to crochet, knit and other crafts and hobbies. She used to bowl in leagues in her younger day. She loved reading novels and read until the last week of her life. She was an avid scripture reader. She took multiple people under her wing as children. She adopted everyone and made them feel like family. One step-niece wrote, “She loved me, and she didn’t have to, but she still did.” She loved music, (especially Les Miserables), but also had multiple favorite hymns. She loved dance and dramatic presentations and attended her children and grand-children’s performances. Berniece was a faithful member of The Church of Jesus Christ of Latter-day Saints. She has served many church positions and found great joy in them. She is survived by her three elder sisters; Janet Heiniger, Florence Stout, and Margie Mair; five children: Craig Petersen (Debbie), Vickie Niesporek, Donald Peterson (Brenda), David Peterson, Diana Peterson; Four step-children Raymond Niesporek III (Pamela), Roger Niesporek Sr. (Evon), Debra Niesporek Castille (Ronnie), ten grandchildren: Melody Chavez (Mark), Kimberly Mullins (Steven), Dondi Schenck (James), Roger Niesporek Jr. (Loyda), Michelle Best, Richard Niesporek, Alecea Petersen, Davey Petersen, Monique Hobbs, Shanna Vagana (Griffin); and nine step- grandchildren: Raymond Niesporek IV (Marci), Angie Juenke Niesporek, Patsy Perry (Ben), Heather Niesporek, Leah Niesporek, Jodi Niesporek, Bobby Niesporek Jr., Brycie Pyper (Niall), Samantha Silva-Vencent and 49 great-grandchildren and numerous great-great-grandchildren. Berniece also had a special daughter Joann Lowery and her daughters Tiffany Lowery and Nikki Grosvenor. Berniece is preceded in death by her husband, Raymond Niesporek Jr., her parents David and Esther Matson, her siblings Evelyn Lowery, David Matson, Virginia Mair, Ronnie Matson. Her stepson Robert Niesporek Sr. (Deanna). We will love and miss our Angel here on earth, everybody’s Grandma! A viewing will be held Wednesday, February 13, 2019 from 6:00 to 8:00pm at Tate Mortuary located 110 South Main Street, Tooele, Utah. A Funeral service will be held Thursday, February 14, 2019, 11:00am at the Stansbury Stake Center, 417 Benson Road, Stansbury Park, Utah. A prior viewing will be held before the funeral service from 10:00 – 10:45am. Interment will be held immediately following the Funeral at the Tooele City Cemetery.